Make a splash by the pool or kick up your dirty feet worry-free, as this ottoman's cushion is covered in the easy-to-clean and fade-resistant Nuvella™ fabric. 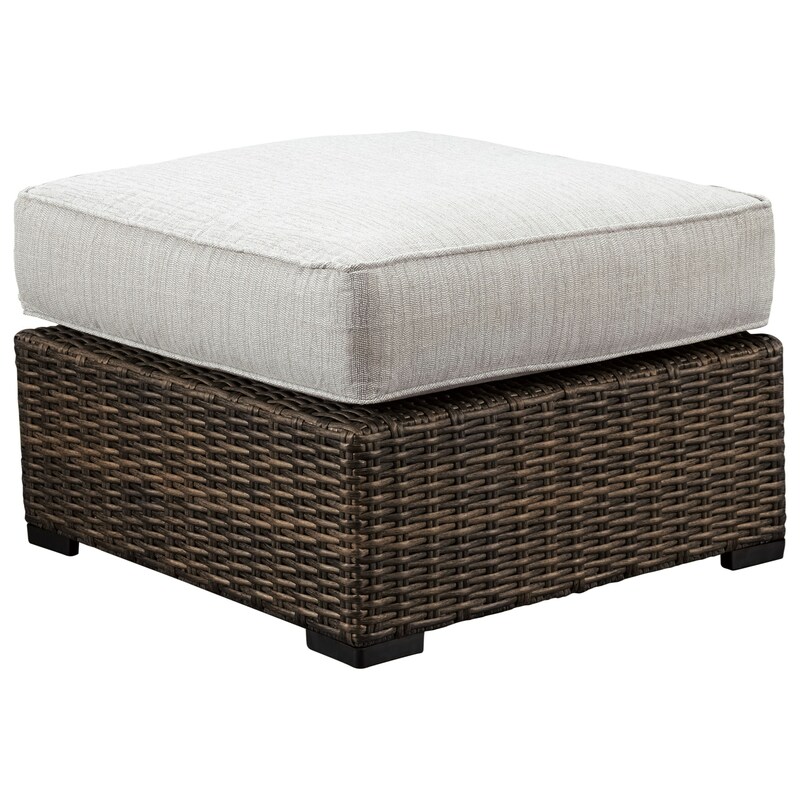 The Alta Grande Wicker Ottoman with Cushion by Signature Design by Ashley at Household Furniture in the El Paso & Horizon City, TX area. Product availability may vary. Contact us for the most current availability on this product.